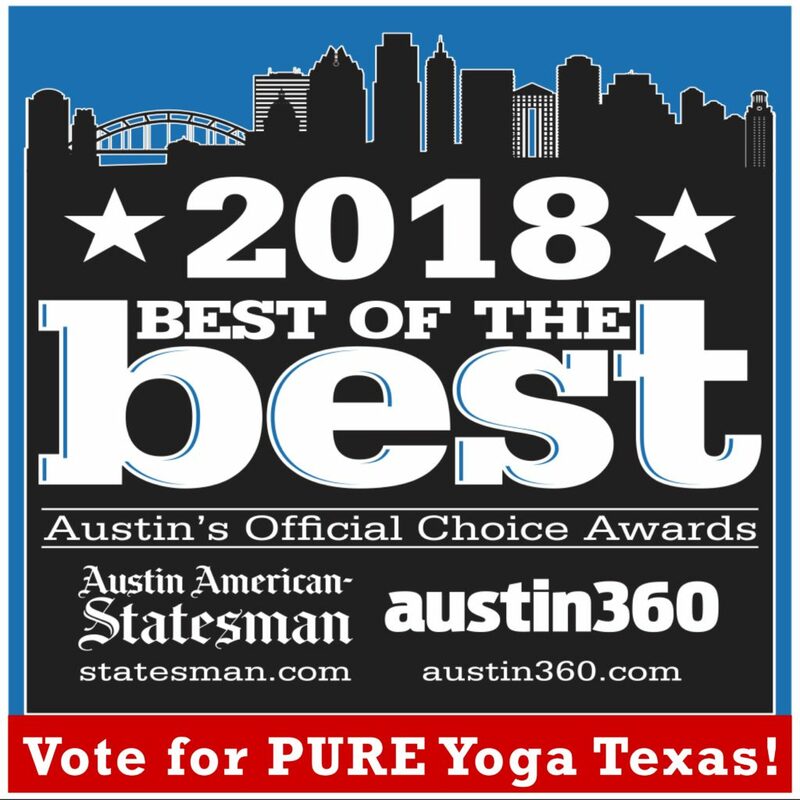 Vote for PURE Yoga Texas as the Best Yoga Studio in Austin! 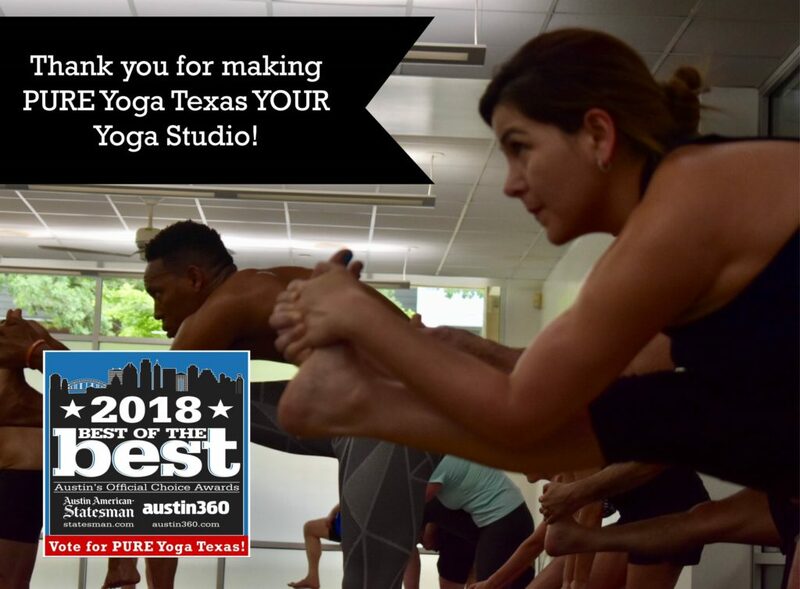 We are honored to be nominated as one of the best yoga studios in Austin! We feel yoga is meant for every body and want as many people to discover yoga as possible. Help us make this happen! Vote for PURE Yoga Texas as the BEST YOGA STUDIO in the Austin American Statesman Best Of Contest. Voting is daily from July 27, 2018 – August 10, 2018. Get a daily text reminder to vote! Click here to sign up. Help us keep growing this wonderful yoga community and together we can make Austin one of the healthiest cities!